This entry was posted on Monday, February 27th, 2012 at 21:21 and is filed under 3a) News and Comments. You can follow any responses to this entry through the RSS 2.0 feed. You can leave a response, or trackback from your own site. A Mr. J. 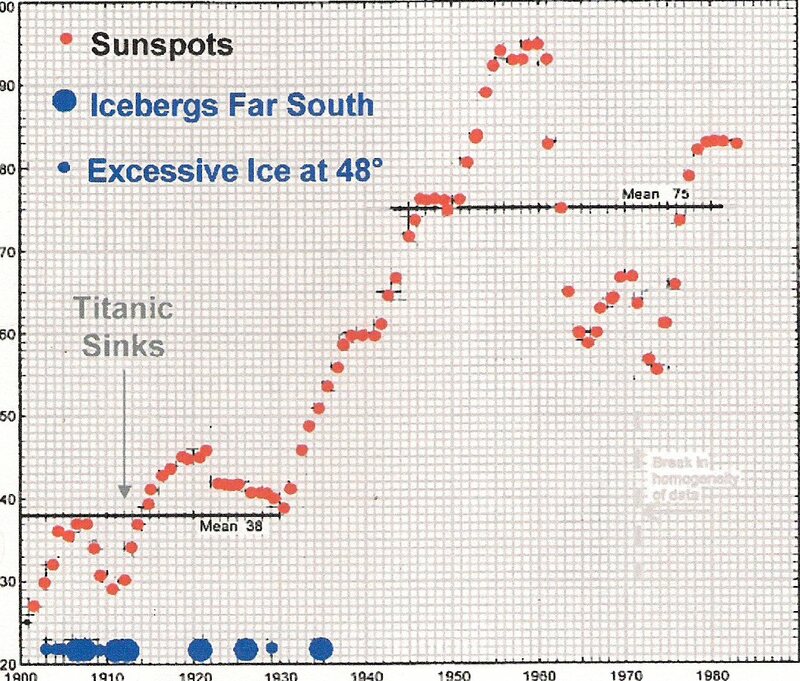 Lane of Clarence Park in South Australia linked low sunspot activity to increased icebergs and the Titanic tragedy on 19 April, 1912 – 4 days after the sinking. 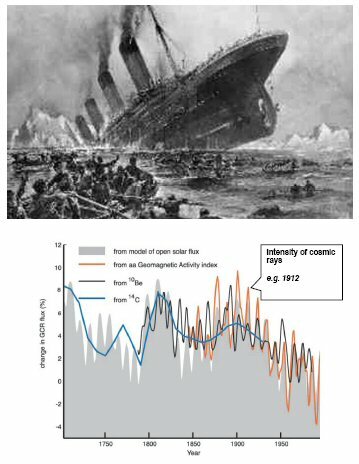 You might want to search “Futility of the Wreck of the Titan”, a popular 19th century fictional novel on the largest passenger ship in the world that sank after hitting a North Atlantic iceberg. Since the fictional “Titan” was deemed “unsinkable” it had few lifeboats and most drowned. Sometime reality ‘imitates art’ when it is convienient to those who also like to repeat history, for their benefit. 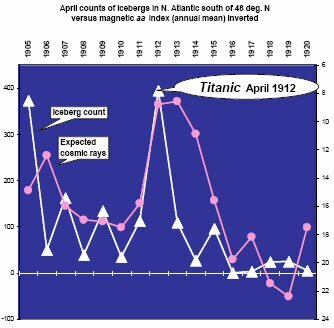 An alternative explanation of the location and frequency of the icebergs that year (1912) and the Titanic sinking involves the position of Earth, Moon and Sun. Whether this theory is better than the sunspot theory is to be investigated. I would really appriciate a comment on this new paper by Henrik Svensmark. It seems to be kind of revolutionary beating CERN and CLOUD to the link between aerosols and clouds. And you are even mentioned in the paper! I’m surprised nobody spotted the typo in paragraph seven. “, but the fact remains that large icebergs abounded much further south than usual in the spring of 2012.” It should say 1912.